To participate in airdrops and hard forks, withdraw your coins now! There is a proliferation of forks and airdrops occurring in the blockchain community. We’d like to take the opportunity to remind our customers of our policy and standard operating procedure for these events. What are Hard Forks and Air Drops? Business as usual, where in the normal course of operation, temporary network splits happen and resolve themselves (typically withinseconds or minutes); no new currency or blockchain is created. Non-contentious upgrades hard forks, where typically the majority of a network upgrade to a new version of the software and the old chain dies off; no new currency or blockchain is created. Non-contentious “airdrop” forks, where a new blockchain is created, splitting off from an existing blockchain. Both chains continue to operate normally under different names (for example Bitcoin and Bitcoin Cash). In this case an additional blockchain is created, and operates under a new name. Contentious fork, where segments within the community cannot reach consensus on the rules of the blockchain. One or both sub communities implement changes to the blockchain and accepting that “their” version of the consensus rules represent the “new” chain. In this case there may be significant disruption to the network, and one or multiple competing currencies may remain in operation after the event. There may even been industry confusion as to the naming of each blockchain. An “Air Drop” is where tokens are allocated to existing token holders in a blockchain. The newly created tokens may be allocated in a fork of the source blockchain, or they may be tokens in a new or different blockchain. Air Drops are typically non-contentious; normally some steps must be undertaken for a wallet management service to obtain the airdropped tokens. What is the ANXPRO Policy on Forks and Air Drops? The primary focus for ANXPRO is the security of customer funds. ANXPRO only supports one version of any digital currency. Airdrops are not supported by ANXPRO. Contentious hard forks resulting in more than one currency are also not supported by ANXPRO. ANXPRO requires customers to remove all funds from ANXPRO if they wish to participate in forks and airdrops. Where a fork is operationally risky or contentious, ANXPRO may also halt trading, deposits and withdrawals for extended periods of time in order to protect customer funds from network instability and faults. Where a fork is high risk or contentious, the service outage may be for an extended period of time until we feel it is safe to return to normal operations. If there is a risk of multiple currencies resulting from a fork, ANXPRO reserves the absolute right to use its best judgement as to which chain represents the original chain. Customers are again firmly required to remove their funds if they wish to participate in forks and airdrops. We are aware that many customers that are active in participating in forks and Air Drops withdraw their funds to an external hardware wallet provider. Many of these kinds of services provide a secure hardware wallet service and are active in supporting forks and Air Drops. Bitcoin Cash Non-Contentious Air Drop - On August 1st, 2017 a non-contentious airdrop fork occurred where a new blockchain “Bitcoin Cash” was created as a clone of the original Bitcoin blockchain with some consensus rule changes. ANXPRO halted deposits, trading, and withdrawals until system stability was clear. ANXPRO remains undecided on the economic viability of adding and supporting Bitcoin Cash, and will make a decision on whether to support Bitcoin Cash in early 2018. Bitcoin Gold Hard Fork - Bitcoin Gold is a new cryptocurrency denoted, as of now, as BTG or “bgold”. It will be a fork of the original Bitcoin and is a community-activated hard fork of Bitcoin with the claimed objective of improving miner decentralization. Bitcoin Gold is slated to launch on 25th October 2017, although the exact time for this fork is not yet confirmed. ANXPRO does not consider Bitcoin Gold to be high risk at this time. ANXPRO will not be supporting Bitcoin Gold in the near term, or crediting Bitcoin Gold to Bitcoin deposit holders; customers who wish to participate in this Air Drop are required to withdraw their funds prior to the 24th of October. Ethereum Byzantium Hard Fork - The Byzantium hard fork is an upgrade to the Ethereum network which is part of a multi-component update called Metropolis. According to the Ethereum Blog, the hard fork will occur at block number 4.37mil (4,370,000), which will likely occur between 12:00 UTC and 13:00 UTC on Monday, 16th October 2017. ANXPRO currently does not consider this Ethereum fork to be contentious or likely to result in the creation of a new currency, however it is a complicated technical upgrade and network disruption or errors are plausible. ANXPRO will schedule an extensive outage of Ethereum related services throughout this period to monitor the network, and resume services when the network appears safe to use. Customers that wish to trade or send their Ethereum through this period are required to withdraw their Ethereum from ANXPRO before 15th October. It is not envisaged a new token will be created in relation to this fork, however customers that wish to participate in any such token creation are required to withdraw their Ethereum from ANXPRO before 15th October. ANXPRO will not be supporting Ethereum Byzantium Hard Fork in the near term. Bitcoin SegWit2x Hard Fork - SegWit2x is a proposition to boost Bitcoin's transaction capacity, first proposed in May by a subsection of the community as a compromise between competing proposals (segwit and larger blocks). The fork is currently expected to occur sometime during November. ANXPRO is concerned the SegWit2x hard fork is extremely contentious. The high level of contention in the community has resulted in two competing implementations that both appear identical to existing legacy wallet clients, which may lead to confusion and disagreement across the Bitcoin ecosystem regarding the validity of transactions. A compromise or emergency hard fork executed by either blockchain results in the emergence of a single blockchain. ANXPRO feels the outcome remains unclear, however the possibility of a major network disruption is very high. ANXPRO requires customers withdraw with Bitcoin from ANXPRO prior to the hard fork if they wish to have the ability to participate in both chains. ANXPRO will not be supporting Bitcoin SegWit2x Hard Fork in the near term. As a final reminder, you must withdraw your digital currencies from ANXPRO if you wish to participate in forks and Air Drops. Security and stability is always our top-most priority and ANXPRO cannot, at this time, support unproven and unstable blockchains. We would be pleased to hear your feedback. 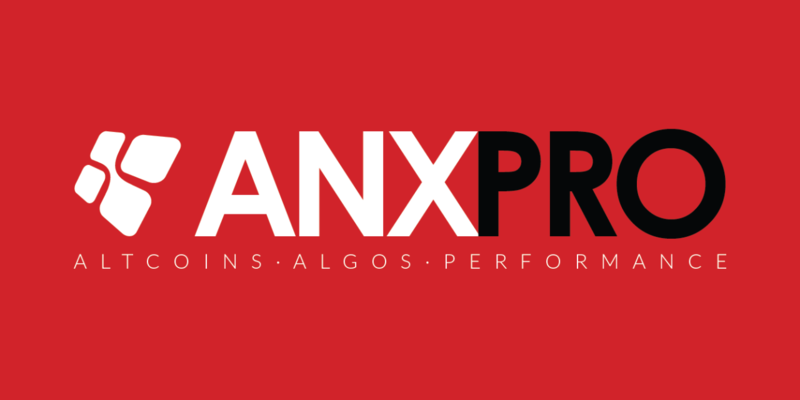 Please direct any queries to support@anxpro.com. Thank you for your continuous support. ANX International | 18/F, CNT Tower, 338 Hennessy Road, Wan Chai, Hong Kong. Copyright © ANX International 2017. All Rights Reserved.